White people, it’s safe to assume, have donated more than $230,000 in six days to Ferguson police officer Darren Wilson, who has not been charged with a crime in the shooting of Michael Brown, “for any financial needs.” (Meet his supporters here.) Along with their credit card numbers, donors were allowed to leave their two cents. That went about as well as could be expected. As Gawker points out, the page had been overrun with not just charitable, racist trolls, but anarchic internet trolls from 4chan, who chipped in just to make the page more offensive. 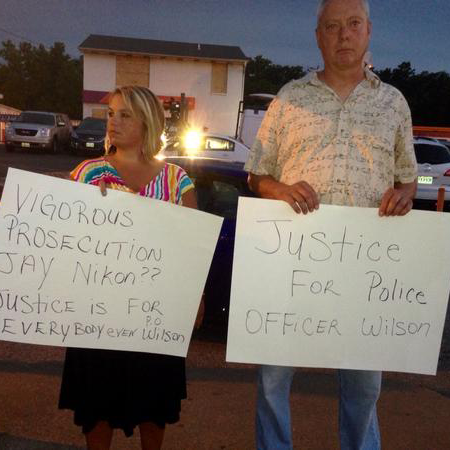 Wilson, meanwhile, still has six figures coming his way for killing an unarmed teenager. That part is immune to moderation.